Health Video Strategy 101 is an ongoing column by the staff of Dramatic Health in order to teach our readers about some of the important lessons Dramatic Health has learned in its 15 years of developing health video. 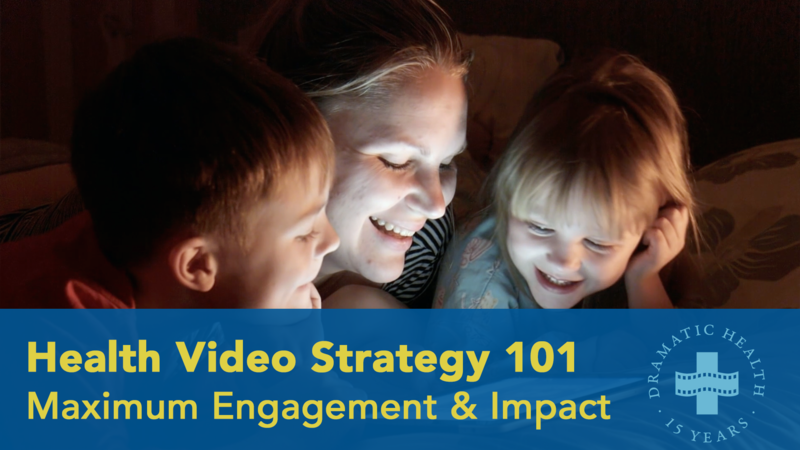 This week learn why maximizing engagement and impact is crucial to your media strategy. Dramatic Health has over 15 years of experience producing high-impact, engaging health video content. And more importantly, we have the results to show for it. Check out some of our numbers, below. Dramatic Health employs a litany of filmmaking tactics to capture an audiences’ attentions. In the next few upcoming weeks, Dramatic Health will go in-depth as to how these facets of filmmaking help create engaging and dynamic content. Can’t wait? Be sure to download Dramatic Health’s white paper, 7 ESSENTIALS OF EFFECTIVE PATIENT VIDEOS (and why most organizations can’t get it right). Click here.